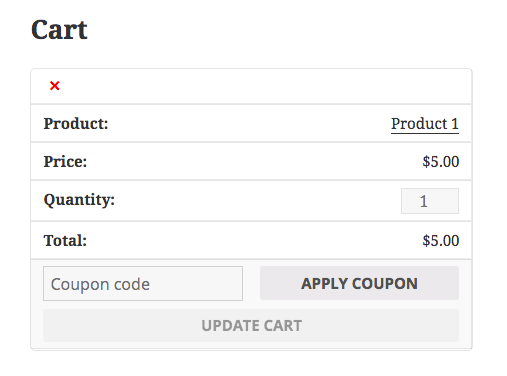 WooCommerce has the fun task of trying to play nice with thousands of themes. That’s not always an easy task and it’s especially hard when it comes to responsive design. How do you design store elements to work with basically every theme out there? You take a good guess and you hope for the best. The important part to note is that it has this bit by default: media="only screen and (max-width: 768px)". That means that this stylesheet will only be applied when the screen size is smaller than 768 pixels wide. The reason for that is that an iPad Portrait mode is 768 pixels, so that’s become a standard for breakpoints. So this stylesheet contains a lot of useful CSS for small screens, but it might not work the best for your theme or site – and you might have some special conditions you want. Maybe you want the product-thumbnail to display on small screens, or you want some other layout changes. Here are two suggestions that might work for you! Using that filter will change the breakpoint to 200 pixels instead of the 768 default.